Unfortunately, crime is not a very pleasant topic and is therefore generally avoided by most. Although, being South Africans, we do mostly tend to joke about such things around the water cooler rather than take it too seriously. This results in the true value of security not being fully realised. It’s only in hindsight; after trauma, tragedy and substantial loss, that the actual security status of the home, the business or any other property vulnerable to criminal attack, is truly considered, and that is only if you are lucky enough to survive. Companies, property managers and homeowners believe their security is adequate because they have been fortunate enough to have not been targeted by criminals ... yet. We are all guilty of entertaining the idea, or assuming a false sense of security, when the thought crosses our minds: “But that will never ever happen to me” or “No ways can something like that occur here”. Our assumptions are proved false, our tranquillity shattered and a rude awakening is received when we do find ourselves in the unfortunate position of being targeted, either directly or indirectly, by a criminal attack or intrusion of some sorts. As humans this sort of horrific ordeal can shake us to the very core. Another influencing factor in the usually unintentional neglect of security is that it is viewed as purely expenditure and the funds necessary are not always calculated into our daily costs, company budgets or planned purchases in the future; when in fact, it should rightly be considered as an investment. This notion is strongly supported when reviewed after a crime and this is why it is necessary to consider the tactic of prevention, which is, in this case, far better than cure. Yes, your insurance may cover the loss of the home entertainment system or the office equipment. It may even allow you to upgrade on what you initially had, but can insurance cover the loss of a human life; whether it be a colleague, an employee or a member of your family? This is when crime truly is too late. Interviews conducted with victims of crime have shown that neither prior to, or after the event, were the majority properly prepared in any manner for the attack. Especially in the case of homeowners, it was further concluded that they were not informed of the best means in which to protect their properties sufficiently either. Additionally, despite the purchase of elaborate security systems and the obvious involved costs, these individuals and entities still found that the criminals were not deterred or prevented in ultimately carrying out their mission. It is at this point where the benefit of the independent security risk assessment should be noted. By contracting this service in regards to your property, business or home, you will be provided with an in-depth and extensive report in which all the vulnerabilities and weaknesses within your security are identified and explained in a multitude of interconnected layers. These points create the opportunity for a crime to occur and through the removal of this vital element, proactive crime prevention can be achieved and your security risk can be greatly lessened. Additionally, the tailored security plan will include various workable and viable options to upgrade and expand your security to suit your pocket, as well as the lifestyle of your family or the nature of your business. 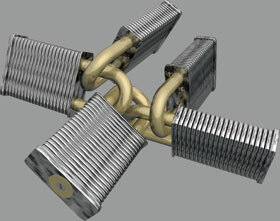 With your security foundation strongly in place, peace of mind is possible as you would be in control of your security.